From a satellite, our planet is but a marble in the universe. The seven billion members of the human race, divine beings having a human experience as one of the members of the human race for the brief journey of life. I believe you are. But what would it be like if I was free from impersonalism? Would I actually see you? “If you think of Me, I am THERE”! Could it be that you are really there? If so Prabhupada please, I really want to understand this. Please hear my prayers in this regard. What you have achieved is mind boggling. Saktavesa status. Today the effects of the Maha Mantra flowing through Your global body right at this moment is a cause for celebration of your service to Lord Caitanya. 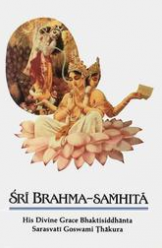 Each person who receives your books is being introduced to Srimati Radharani and Lord Krsna. Sita, Rama, Laxman, Hanuman, The Pancha Tattva: Lord Caitanya, Lord Nityananda, Sri Advaita, Gadadhar, Srivasi, Tulsi Devi, Four Kumaras, Sukara, Narada, Nara Narayan, Kapila, Dattatreyi, Yajna, Rsabha, Prthu, Matsya, Kurma, Dhanvantari, Mohini, Nrsimha, Vamana, Bhrgupati, Vyasadev, Balarama, Buddha, Kalki, Lord Brahma, Lord Visnu, Lord Shiva and the universal government of 33 million Demigods. Six Goswamis, Lord Candra (Lord of the moon), Visvasvan (Lord of the sun), Mother Bhumi (Mother earth), Vayu (Lord of the wind). Nine islands of Navadvip, Sri Vrindavan, Sri Mayapur. I could fill a hundred pages with all the amazing places and personalities that you’ve introduced to us and anyone who is fortunate enough to associate with the Guru who lives in his books. You have a perfect relationship with all the personalities who reside in your books. Prabhupada pointed to his shoulder. He wrote them. When Prabhupada and Hayagriva worked on the Bhagavad-gita As It Is, Mother Malati described their exchanges. Although I do not remember specifics, I remember later thinking that every word of Srila Prabhupada’s was orchestrated by Lord Krsna and that Krsna was present guiding Prabhupada’s writing of the Bhagavad-gita As It Is, the foundation of Srila Prabhupada’s mission. As I kneel before Your Divine Grace in my prayers, I’m visualizing you and all the personalities and places described in your books, appreciating with awe and reverence that you are a pure devotee of all these personalities and directed by them. You are 100% in sync with Lord Caitanya’s mission of Jivera Mocana. The fact that you sat with Krsna while being directed by Him to write the Bhagavad-gita As It Is shows the pure source of this work is as powerful as it could possibly be, your books are guiding your Hare Krsna Movement. You are the Guru who lives in His books. Masterpieces, every word a flower. Daily we sing Sri Radhika Madhavayar apara Madurya lila Guna rupa Namanam. The Spiritual Master is always eager to hear and chant about the pastimes of Radhika and Madhava. Sometimes I ask you, “The Guru who lives in his books”, questions. I open your books and read the first verse and am amazed at how your answers correlate with my questions, confirming many times that you hear my questions and answer them directly. “I will forever be in my books”, “You will utilize”. Jaya Prabhupada, Lord Caitanya’s mission of Jivera Mocana is being orchestrated through your books and global body. The Hare Krsna movement, the synchronicity of your global movement depends on your direction. Anyone who reads these books is being awakened to their eternal relationship with Sri Krishna and being given guidance home to the spiritual world. Everyday I celebrate your global body of followers chanting Hare Krsna all over the planet, knowing that this transcendental vibration is circling the universe seven times. The Maha Mantra is the mantra for deliverance; Lord Caitanya’s mission to bestow benediction upon all. Now if Krsna and Prabhupada wrote these books, approved the cover and paintings within Bhagavad-gita As It Is, why change that? This issue deserves a global opinion poll amongst all Srila Prabhupada’s disciples. “Tell the GBS not to change my books.”! If Prabhupada chose the cover, if Prabhupada liked and approved the paintings, we should embrace everything as it is — “Its perfect”. There should be a global opinion poll out of respect for Lord Krishna and Srila Prabhupada. 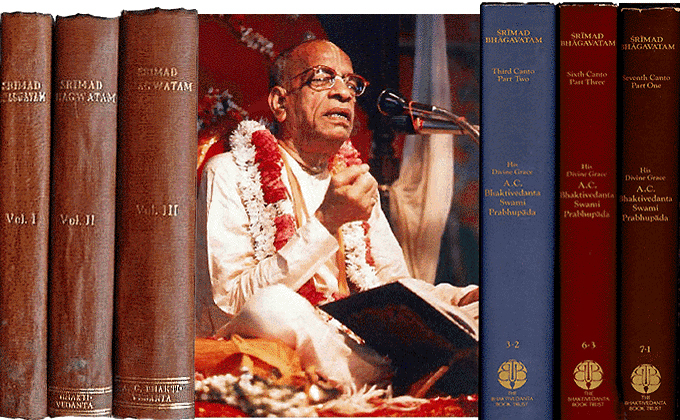 The movement, Prabhupada’s books and the Maha Mantra are the liberating forces. Prabhupada saved us, so we must be grateful for every divinely guided word and put this issue as number one for 2011. This movement is going to liberate this universe, nothing less. Lord Caitanya’s mission is Jivera Mocana and Srila Prabhupada is Lord Caitanya’s pure devotee. Prabhupada’s movement is His physical body, the billions of sound incarnations pouring out of this body of ISKCON each moment of everyday…24/7/365. They are very real incarnations of the Supreme Personality of Godhead, Lord Sri Krsna and Srimati Radharani. Srila Prabhupada said when you get back to the spiritual world it will be like you just left. Today each member of this movement who takes shelter of the lotus feet of Sri Krsna’s pure devotee will be personally introduced to all the personalities and places that “The Guru who lives in his books” has so mercifully introduced to us in His books, our eternal family. Srila Prabhupada, Thank You for Krsna consciousness. I bow down to every servant of Srila Prabhupada’s Hare Krishna movement. Whether you are distributing the Holy Name, Srila Prabhupada’s books, prasadam, or putting ganga jal into the oceans, lakes, rivers, on sequoia trees, dogs, cats, and grandmothers, Prabhupada’s mercy is flowing through His movement and you.